At Kitchen Tune-Up, we believe that updating your space doesn't have to cost a fortune or displace you from your home for weeks. We apply our customer service Trustpoints to every project to ensure a hassle-free experience from start to finish. Locally owned & operated by Steve & Susan Sneller. Located in Harrisburg and serving Sioux Falls, Tea, Brandon, Lennox, Hartford, and northwest Iowa. Contact us to schedule a free no-obligation estimate. 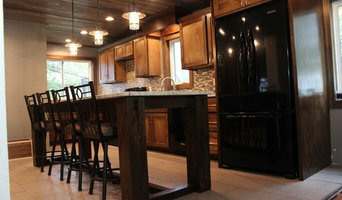 Remodeling and handyman services in Sioux Falls and the surrounding area. Services include home repair and maintenance, bathroom remodeling, house siding, millwork and finish carpentry, door and window install, fencing, decking, plumbing, and flooring. Rustad's Flooring was founded upon principles centered around providing lasting impressions among our customers. Our team is committed to meeting all of the customers needs. We would welcome the opportunity to earn your trust and deliver you the best service in the industry. Our new showroom is located in the heart of Pipestone, MN but we have the availability to travel to meet your needs! 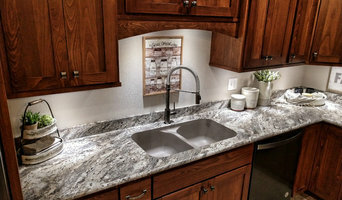 We are the largest countertop, cabinetry, sleep and flooring store in the area! We carry everything you could need to improve your lifestyle! In 2006. SCCC&F started as a business specializing in designing and building custom cabinets for commercial, residential, and industrial settings. We design and build fine pieces of custom furniture: dining tables, end tables, coffee tables, armoires, entertainment centers, fireplace surroundings, fireplace mantels, bed furniture including murphy bed (flip out of wall bed), bar units, computer desks, toy boxes, secretary desks, hall trees, jewelry cabinets, church pulpits, communion tables, baptismal founts, etc. We also will stain and varnish to your choice of color and finish with the help of many different colors of concentrate to achieve the right color tone. We strive to be the best in the business. Thanks for checking us out and we hope to hear from you soon. Cool Change Repair & Remodel offers home and business owners a convenient way to remedy common problems such as leaky faucets and damaged floors, as well as handle more difficult issues such as remodeling an entire room. We have over 25 years of experience. We are a time and material company, so you are only paying for the time we actually work. We offer free estimates for your convenience. All work performed by Cool Change Repair & Remodel is warranted for one full year. We are licensed, bonded and insured. Bill Johnson Construction exists to provide the best service and attitude at every project at every site. We strive to create finished projects that have a lasting, positive effect for our clients. Call us for your next project today! Honermann Cabinets, based out of Adrian, is a cabinet building company. They offer custom shelving design, cabinet restoration and more.